THERE'S going to be all sorts of things going on in your head when you're in a plane. Have you ever wondered exactly why you're always asked to put your window shade up when you're landing and taking off? Or what about that nice bottle you just bought in Duty Free? We've found out exactly if you can drink it on board the plane. Why do you have to put the window shade up when you're landing? When it comes to raising the window blinds for landing, it's all to do with whether the plane encounters an emergency on hitting the ground. Aviation Safety Network CEO, Harro Ranter, told MailOnline Travel: "Should an evacuation become necessary, it's important to have an outside view so you can decide if that side is safe. "If flames are visible on that side, you'd need to evacuate through an​other exit." Captain Dave Thomas, British Airways' head of flight and technical training, added: "This is actually required by regulation so you get accustomed to the amount of light outside the aircraft if you ever had to disembark in a hurry. "This is the sort of 'just in case' approach we take to the safety of our customers to ensure flying is as safe as we can possibly make it." An emergency landing and an unexpected evacuation is also the reason tray tables have to be stowed away before landing. Same goes when it comes to returning your seats into the upright position. 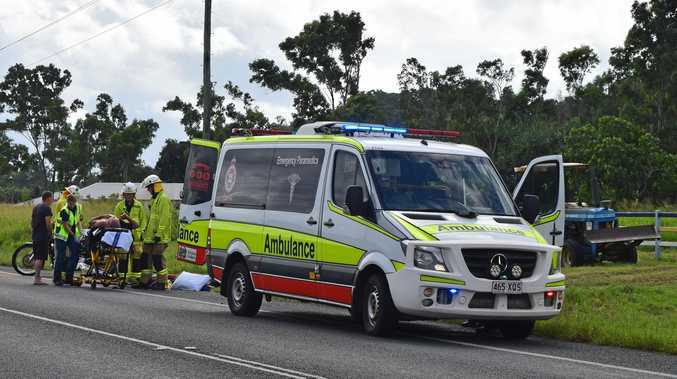 Harro pointed out: "It'd be more difficult to assume a brace-for-impact position should there be an emergency." Why do you have to turn your phone to flight mode when you're flying? The radiation from a phone's signal cannot interfere with hi-tech operating system on a plane - at least not to the extent that it will cause any major problems. 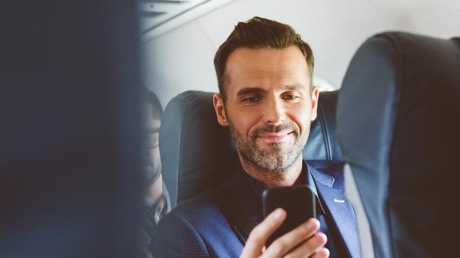 Despite all the warnings telling us to disable our phone's signal, experts say that putting your mobile into flight mode doesn't actually ensure you're any safer midair. "You may have heard that unpleasant noise from an audio system, which occasionally happens when a mobile phone is nearby. "I actually hear such noise on the radio while flying. It is not safety critical, but is annoying for sure. "Now imagine that noise in the pilot's headphones, while [he or she] is receiving a critical bit of information from ground control!" Can you drink booze on the plane that you've bought in Duty Free? Unfortunately, you're not legally allowed to serve your own drinks on a flight - plenty of passengers have been booted off planes for trying. Cabin crew can actually serve you drinks that you've brought on board with you - as long as you ask discreetly. Ott said: "You CANNOT serve yourself on the plane. Any plane. No. You can't. "You CAN however politely ask a member of the cabin crew if they wouldn't' mind serving you the liquor you brought on board." He continued: "JetBlue famously made light of this policy last year - and we know many have successfully done this on other airlines around the world. "There are no guarantees a crew will say YES - but this is real - and this happens." But beware of opening up a huge bottle you can't finish - flight crew are obliged to dispose of open and unfinished bottles at the end of the flight. Which passenger actually gets the armrest? Who gets control over the armrest? Is it the poor passenger in the middle seat - or is it simply first come, first served? 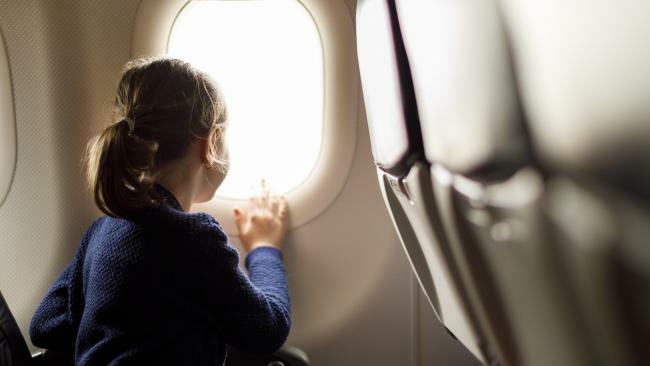 Travel etiquette expert Christin Fraga, Director of Operations at California-based Elaine Swann Enterprises, says that there is a clear rule when it comes to armrests. 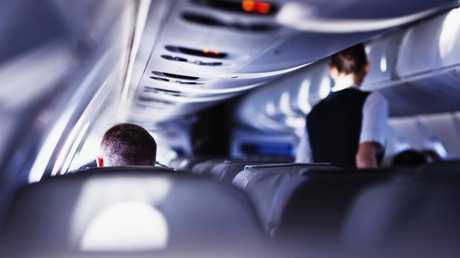 She told news.com.au: "When it comes to armrests, it is one armrest per passenger - typically the armrest that has your media and electrical outlets will be the one you use. "If you are comfortable speaking with your seat-mate, have a short conversation and compromise with them. Two elbows can share a single armrest better than two arms." What would happen if a plane door opened mid-flight? Passengers often wonder what would happen if the plane's door opened mid-flight In the highly unlikely event that a plane door opens when you're in the middle of a flight, it would only take half a second before catastrophe hits. According to ASAPScience, due to a difference in air pressure, anything not secured would immediately be pulled out of the plane. Anybody that isn't pulled out of the plane would most likely die anyway, as the plane would quickly fall apart in the air. There's would also be a huge risk of oxygen deficiency for anyone who doesn't have their oxygen mask on. But rest assured that the chances of this happening are very, very small - as it's almost impossible for the plane door to open like this. Pilot and author Patrick Smith told The Telegraph that you'd need a hydraulic jack to open a door mid-flight as the cabin pressure is so great. What's the difference between the food in first class and economy? The main difference is of course the price - but there's also differences in the ingredients used and how the meals are cooked. Skyscanner told MailOnline: "Main meals in Business Class and First Class are generally not pre-packaged. "Instead, each part of the meal, for example, the sauce, vegetables, and fish, are packaged separately, so that they can be reheated - or cooked on board. "This means that flight attendants can reheat or cook each thing perfectly, and serve the meal as it might be served in a restaurant. "Ingredients are often prepared much closer to take off time too."